Nintendo has become the standout hit of this second coming of video game consoles. A lot of hard work (and no doubt luck) has given Nintendo a commanding share of the market in the U.S. and Nintendo is now a common household name. Its business is games, and its primary customers are adolescent boys. But don’t be fooled. Nintendo is treating its market as seriously as NASA orchestrated the first lunar landing. No detail is too small, no issue too trivial. Nothing is left to chance. New games, for example, are evaluated on a scale of zero to 40 long before they are selected for publication. All games developed by outside authors are manufactured, along with the in-house titles, at Nintendo headquarters in Japan. Toy store shelves are checked weekly to monitor sales, and new products are introduced deliberately and in limited supplies to keep business flowing smoothly. Indeed, Nintendo successfully resuscitated the collapsed market for video games in 1985 and patiently nurtured it into a business expected to generate sales of more than $3 billion this year. But now the Japanese game maker, which controls as much as 80% of the market, has been slapped by disgruntled California competitors with two multimillion-dollar antitrust lawsuits that strike at the heart of Nintendo’s approach to reviving the industry. Scheduled to go to trial later this year, the suits have potentially broad implications for personal computer software publishers and other technology concerns. Many technology and legal experts also say the suits challenge some of the basic business tactics Japanese companies have employed to build–and, in many cases, dominate–markets in the United States. 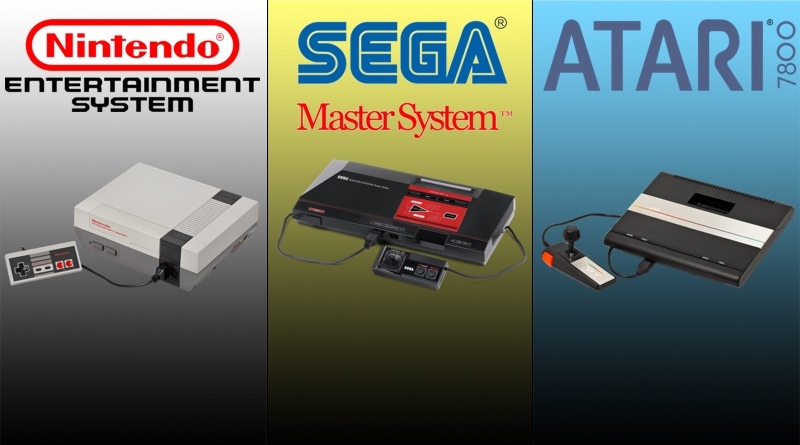 The suits, filed separately by Atari Games and an unrelated company, Atari Corp., over the last three months, accuse Nintendo of monopolistic practices. Atari Games, which has developed three video games for Nintendo, maintains that the Japanese company has competed unfairly in the game market by doing two things: insisting on manufacturing every cassette intended for its players and unilaterally deciding how many cassettes each of its outside licensees will get. Taken together, the suit says, those actions essentially dictate the size of the video game market and leave other game and player developers at the mercy of Nintendo. In the other suit, Atari Corp., the video game maker that dominated the market in the early 1980s, accused Nintendo of monopolizing both the video game and player market by preventing game developers from writing versions of Nintendo-authorized games for rival player makers. Analysts say Nintendo’s approach to the video game market is tantamount to a computer maker preventing software developers from writing versions of a computer program for competitors’ machines. But some U.S. experts also say the company’s overall strategy is characteristic of the aggressive yet methodical approach often taken by Japanese concerns to build their businesses, though perhaps taken to an extreme. The notion, accepted in Japan, where the economy is tightly monitored by the government, flies in the face of the free market system, argues Trip Hawkins, founder of Electronic Arts, a San Mateo personal computer game publisher. Nintendo’s response has been that the suits are nothing more than “sour grapes” from the companies that let the original video game craze collapse and then failed to jump back quickly enough when it rebounded several years later. “I’d hide under the American flag, too, if I were in their shoes,” said William White, advertising and marketing director of Nintendo of America, Nintendo Co.’s Redmond, Wash., U.S. subsidiary. But, as White added, in the United States, the losers also are more than willing to take their case to court. The suit by Atari Games, considered the more far-reaching of the two cases, seeks $100 million based on the claim that Nintendo’s insistence on manufacturing all cassettes intended for its players has restricted Atari Games’ market. At the crux of the suit is the “lockout” chip that Nintendo installs in each game cassette it manufactures. The special chip allows the games to operate in the Nintendo game players and is designed to prevent all but Nintendo-authorized and manufactured games from playing on the system. Nintendo has steadfastly claimed that the security chip is needed to prevent inferior, low-quality games from damaging the market, as they did in 1982. Further, it argues that by manufacturing all games with these chips, it ensures that supply does not exceed demand, creating a glut of the sort that also occurred in 1982. But critics charge that the maneuvers are little more than monopolistic practices to prevent a proliferation of copycat games that would cut into Nintendo’s chokehold on the market. There is ample precedent for technology firms, such as personal computer makers, to protect their patented and copyrighted inventions and materials from would-be copiers. But Nintendo is the only company in recent years to try to assert control over both the basic machine as well as the material developed by outsiders that is played or run on it. Nintendo, critics charge, leaves little room for choice by game developers. “Nintendo is trying to advance the principle that they must control the software that is played on their hardware, and that’s patently ridiculous,” said Kenneth Wasch, executive director of the Software Publishers Assn., a trade group supporting the lawsuits. “It’s like a manufacturer of compact disc players saying that they must judge the quality of the recording artists. Suddenly we would have one company saying that Madonna was OK, but Prince was out. No one does business that way,” Wasch added. If Nintendo’s practices are upheld in court, Wasch and others fear that personal computer software publishers could be left without much protection from huge computer makers. Gary Reback, a Silicon Valley attorney specializing in patent and copyright protection, says Nintendo’s use of a security chip to lock out unauthorized software could be copied by computer makers, as well, to prevent unauthorized software from playing in their machines. “This is a much more important issue to the personal computer business than the game business,” Reback said. Although the practices may offend some Americans, Yoshihiro Sano, president of the US Japan Business News, a weekly Japanese-language newspaper published in Los Angeles, says they are quite common in Japan. The key to Nintendo’s success in the United States stems from its accurate assessment of what went wrong with the business in the early 1980s. According to Peter Main, marketing vice president for Nintendo of America, the company dissected the first craze and concluded that it died out because of shoddy games that confused and angered buyers–not because buyers suddenly lost interest in the pastime. Next, the U.S. subsidiary carefully followed the path blazed nearly three years earlier by its Japanese parent, a 99-year-old company that got started making cards for the popular Japanese game Hanafuda. Since introducing the Famicom in Japan in 1982, Nintendo has sold about 13 million systems there, the equivalent of about one for every three households. In the United States, Nintendo has sold about 11 million systems and projects sales of another 8 million units this year alone. Sales of Nintendo-authorized and manufactured game cassettes are expected to reach 50 million this year, about 50% higher than last year’s record high. Although growth has been spectacular, Main contends that the key is ensuring the growth rate remains manageable and customers are carefully led through the buying cycle already established in Japan. For example, Main says, the company is preparing to introduce a new, more sophisticated and more powerful version of its game player, possibly later this year. The machine could be brought to market sooner, he acknowledged, but “we need to get all we can out of our current product” before introducing its replacement. The company takes the same approach with video games themselves. For example, one of the hottest games on the Japanese market is Super Mario Brothers III. But in the Unites States, the company only recently introduced its immediate predecessor, Super Mario Brothers II. Although the game could easily be exported to the United States, Main says it is important to take players through each version in proper order to make sure that the players enjoy their experience and stay in the fold. Further, he argues, the progression from one version to its successor shouldn’t be hurried, because the market could become glutted. By contrast, during the last video craze, manufacturers made millions of copies of popular titles in an attempt to satisfy the hyper-inflated demand. The result was a glut, thousands of inferior products–and the market’s almost overnight collapse. Nintendo’s approach to quality control also is novel. Rather than enter into multi-year licensing agreements with game developers for a number of products, Nintendo signs agreements covering only a single game. If a developer has a sequel or new product, it must negotiate a new contract. To Nintendo allies such as Acclaim’s Fischbach, Nintendo’s approach is nothing other than prudent managing for the long term. “Unless it’s grown slowly, the market won’t last any longer than it did the first time,” he said, adding that he’s happy to accept lower sales now in exchange for a more lasting business. Warp Zone is a unique section that aims to recreate what happened 30 years ago today. All articles and reviews will be written as if from that time period. Our aim is to be accurate, so if you find any glaring mistakes let us know via the contact page. Likewise, if you have any classic photos, videos, or knowledge that you think could help, please feel free to get in touch. Thank you!